The AtlasIED DPA Series amplifiers feature a combination of flexibility, performance, and control to provide high value features for applications that require more than just great sound. The network enabled DPA series amplifiers are DSP controlled 4-channel amplifiers that can be configured in three different amplification arrangements to meet a wide range of installation design requirements. DPA amplifiers can be used right out of the box in their factory default configuration as traditional 2-channel 70.7V/100V commercial power amplifiers requiring no programming, special set-up, or network connectivity. However, when web enabled, the DPA amplifiers can be configured in 4-channel mode with either 4Ω or 8Ω load impedances for two stereo zones. Many system designs require both low and high impedance amplification. The DPA series can be configured for a 70.7V/100V paging/background system on one channel and the other two channels can be used for 4Ω/8Ω foreground stereo applications. The DPA comes standard with four balanced line inputs and an accessory slot for an optional DPA-DAC4 4-channel Dante™ receiver card or a DPA-AMIX (2) mic/line and (2) AUX input card, for a total of 8 inputs. 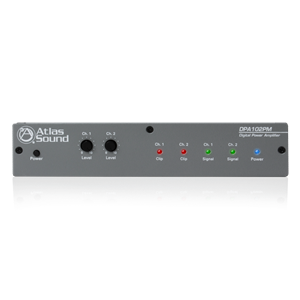 All inputs can be mixed and routed to any of the four amplifier channels. 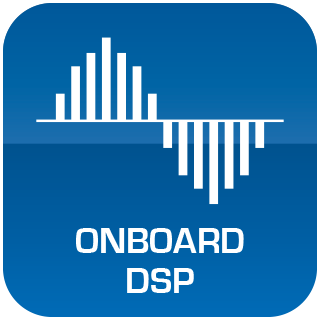 All amplifier channels have an assortment of DSP tools including level controls, EQ’s, limiters, high & low pass filters, and delay to provide flexibility for a range of applications. The output level can be assigned to either the front panel potentiometers or to the onboard GUI. Wired remote level control can be configured to allow simple control for the end user. Each unit also features GUI based input and output level metering along with assignable mute functions that are triggered via an audio signal or contact closure. 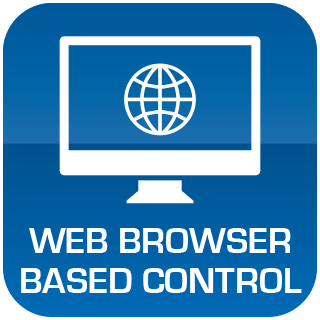 Access to the DSP settings is accomplished via computer, tablet, or mobile device using a web browser. All settings can be password protected. The DPA series amplifiers also include PC based site manager software that automatically searches within a specific network for all DPA amplifiers on the network. It will list them and allow a single click access to any unit. 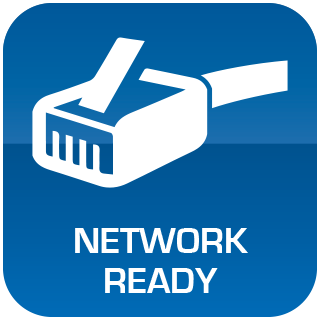 The DPA Site Manager software can do a variety of functions besides locating IP addresses such as; fault reporting, input & output status, standby status and remote activation via a scheduler timer. The flexibility of the DPA Series amplifiers and comprehensive assortment of local or network control configurations make them an ideal choice in today’s sophisticated commercial audio market.